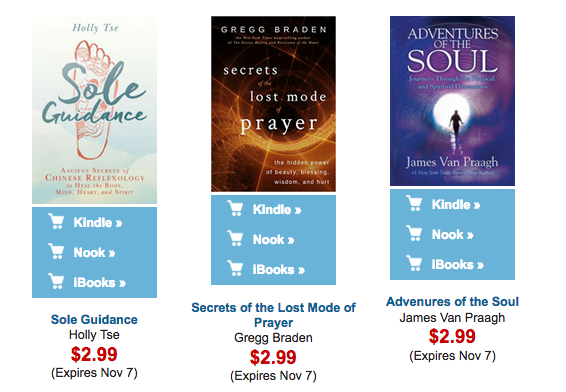 There’s an amazing sale now for Hay House books, including my new book, Sole Guidance. 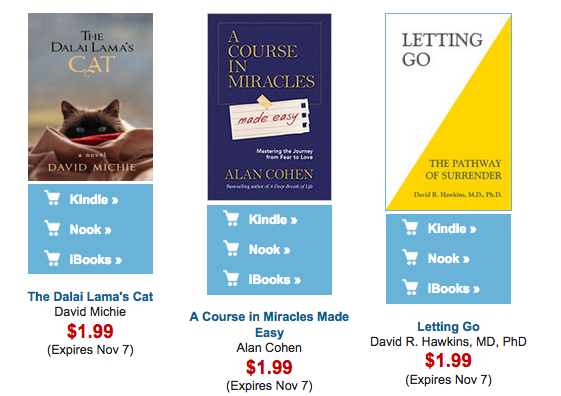 Hay House, the publisher of my book is offering the digital version of the book on sale until November 7, 2016. The book is regularly $15.99, but you can download it now for only $2.99. That’s a savings of over 80%. And it’s available for iBooks, Nook, and Amazon Kindle. The book is available worldwide, but it’s only on sale in the U.S., Canada, the UK (£2.49), and Australia. 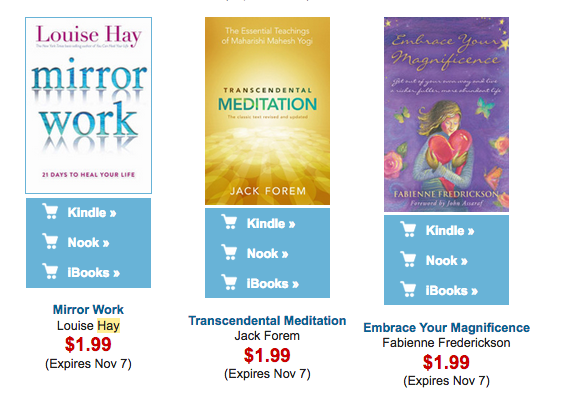 I went on a book buying binge because there are so many other interesting Hay House titles on sale right now too. I’ve included pictures of the sale items below. 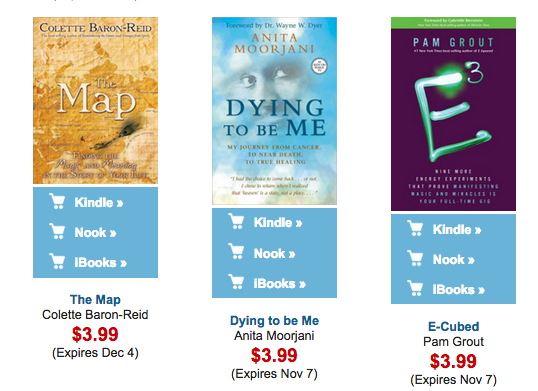 If you haven’t already read her book, I would highly highly recommend Anita Moorjani’s book, Dying to Be Me. It is highly transformational! Here’s an interview I did recently on Hay House Radio, where I spoke about my new book, Sole Guidance: Ancient Secrets of Chinese Reflexology to Heal the Body, Mind, Heart, and Spirit, walked listeners through how to massage their feet, and also answered a few questions from callers.